The Stockholm Marathon Group shares the latest on upcoming races in Stockholm. If you love to lace up and hit the pavement while traveling in cities around the world, Stockholm has a listing of solid races that will not only challenge you but guide you through some of the most beautiful and offbeat sections of the city and its surrounding islands and suburbs. Stockholm Marathon Group publishes a newsletter in Swedish with upcoming races and have agreed to have it translated and published here on Slow Travel Stockholm for our readers. A new running season will soon begin in Stockholm. The first major race is Premiärmilen which takes place on Sunday, March 30. Following Premiärmilen is a series of races ranging from 5 km to 100 km during the spring, summer and fall seasons. You run a 10 km course through the lovely settings of Norra Djurgården. A perfect course for those who want to test their form after winter training – www.premiarmilen.se. A new colorful race designed exclusively for women. 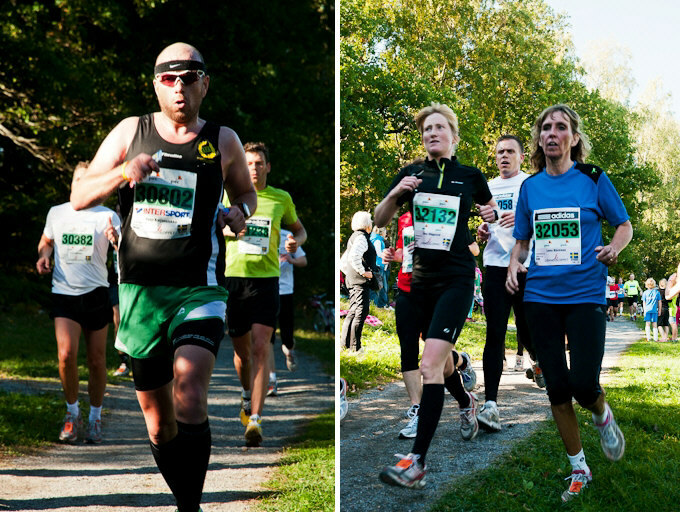 You run half the classic marathon distance on a beautiful and fast course in Southern Djurgården – www.whhm.se. Spring’s Swedish terrain race which cuts through scenic paths around Norra Djurgården. The race starts and finishes at Frescatihallen, and it has three distances you can sign up for: 6 km, 12 km and 18 km – www.springcross.se. Run 5 km or 10 km on a flat loop around Djurgårdsbrunnsviken on one of Stockholm’s most beautiful courses. The race starts and finishes at the Maritime Museum – www.milsparet.se. This year’s tour de force. You run 42.2 km along one of the world’s most beautiful marathon courses which starts at the classic Stockholm Stadion. The 2014 race has already been filled by 22,000 runners from over 90 nations so you can only register for next year’s marathon which will be held on June 6, 2015. Registration opens on May 31 – www.stockholmmarathon.se. The big race is for boys and girls between 5 and 17 years. Finishing first isn’t the priority but for kids to have a good time. The race is at Stockholm Stadion – www.minimaran.se. Run together which is twice the fun! Two runners form a pair and run the 5 km long track in Haga Park, but in different sections and their combined total time counts towards their final race standing – www.parloppet.se. Definitely the summer’s biggest challenge. Stockholm Ultra has two distances: 50 km and 100 km. Last year, participants had some of the fastest 100km times on this fast track around Gärdet and Djurgården – www.stockholmultra.se. 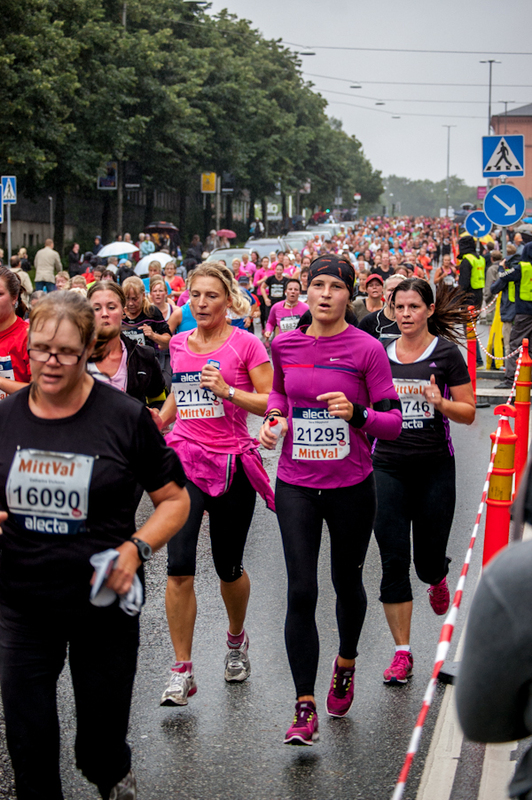 Sweden’s largest relay race with 18,000 runners with five runners on each relay team running 5km. The relay has three classes: men, women and mixed. Teams can choose to run on Wednesday evening, Thursday evening, or on Saturday. The course goes through Norra Djurgården. All teams are invited to the closing picnic – www.bellmanstafetten.se. The country’s biggest sporting event for women with roughly 34,000 participants. You compete against yourself on the beautiful 10 km path around Djurgården. 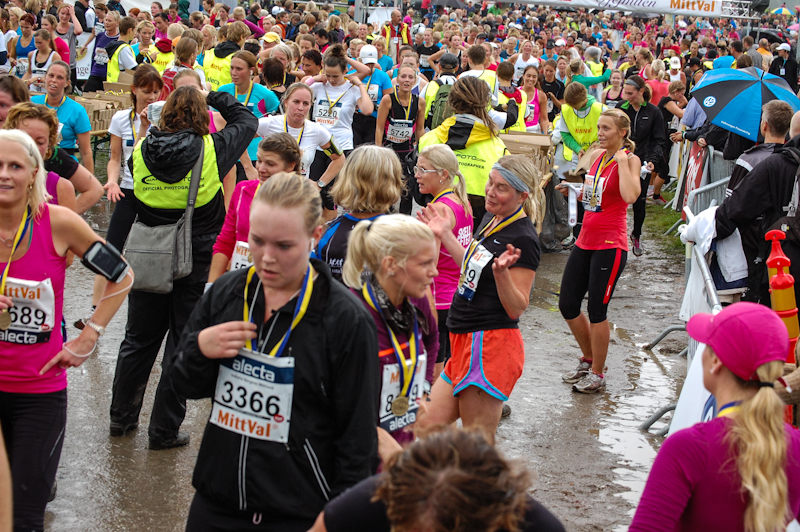 Running a Swedish mil (10 km) is an accomplishment no matter what your speed is – www.tjejmilen.se. An inspiring race through downtown Stockholm with participants from all over the world. The race starts and finishes at the Palace and Parliament House. 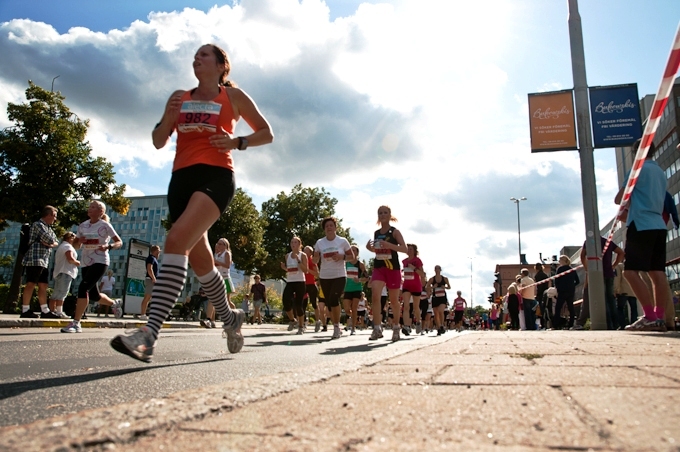 You get to run 21.1 km through the streets of Stockholm – www.stockholmhalvmarathon.se. A nice race with several entertainment stations along the scenic course in the Haga Park. You can run 5km or 10km, or walk 5 km – www.topphalsa.se. Autumn’s toughest and funniest adventure race. You run 10 km through a demanding and partly trackless terrain in Greater Stockholm. We’re looking up the steepest slopes and wettest swamps. The race on October 4 is fully booked with 6,500 runners, but there are spots left on Sunday, October 5 – www.tjurruset.se. Autumn’s sweetest 10km race and the country’s fastest which goes through a relatively easy path around Hässelby and Vällingbyvägen – www.hasselbyloppet.se. For more information on races in Stockholm as well as running guides and training programs, visit Stockholm Marathon Group’s website. The races are organized by the Stockholm Marathon Group / Hässelby SK and FK Tramway. Stockholm Marathon / Tjejmilen AB are providers of this newsletter.